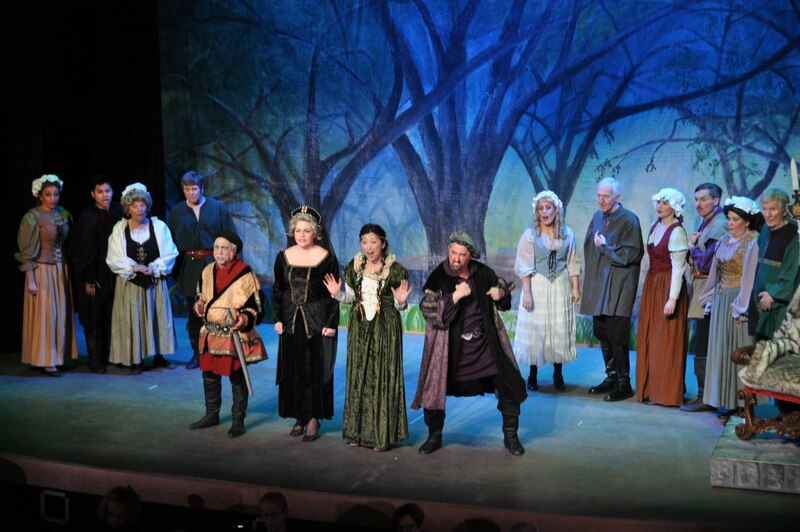 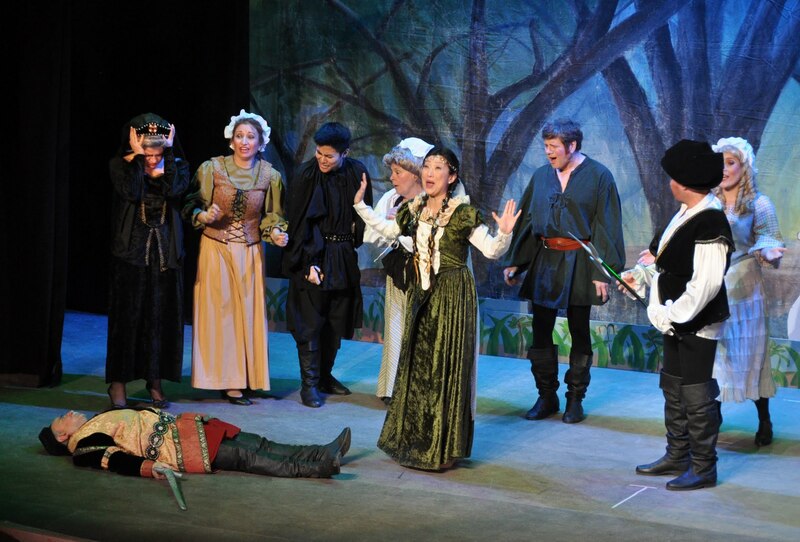 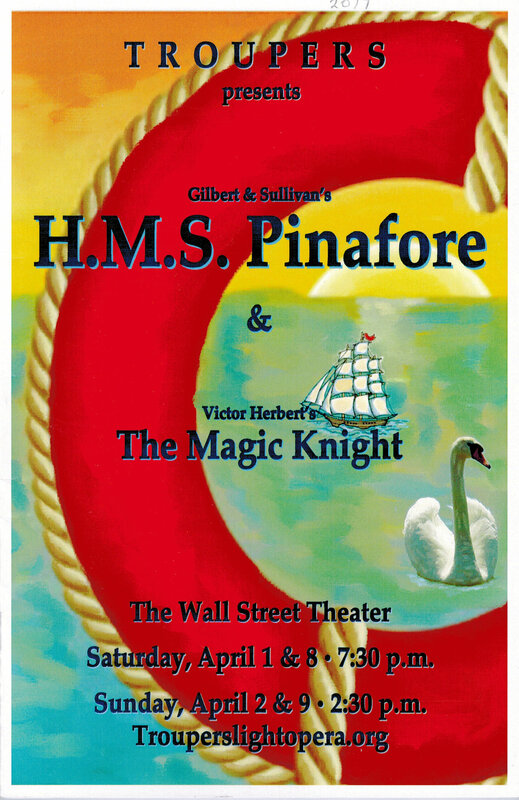 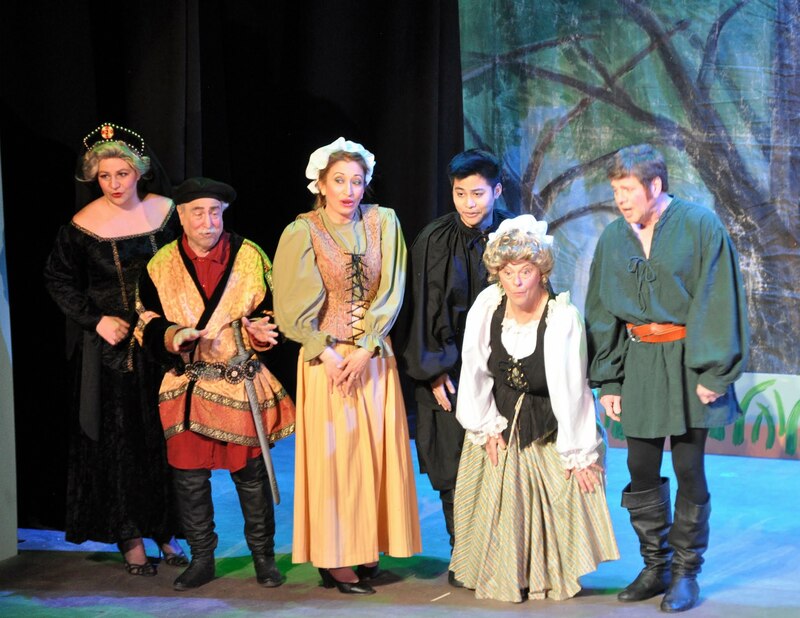 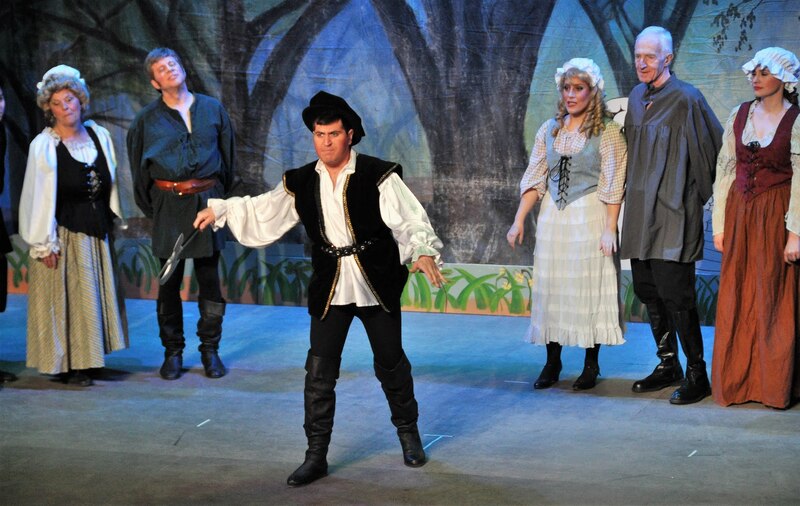 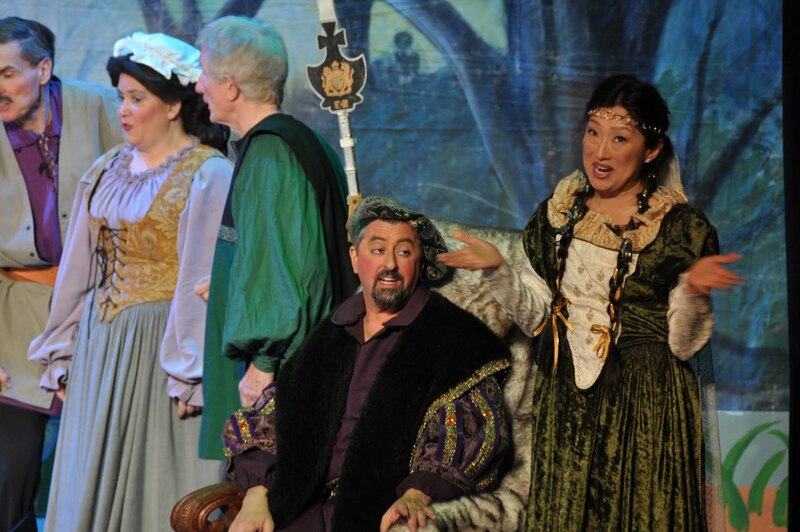 “The Magic Knight” is a light-hearted and silly spoof of grand opera and in particular of Lohengrin. 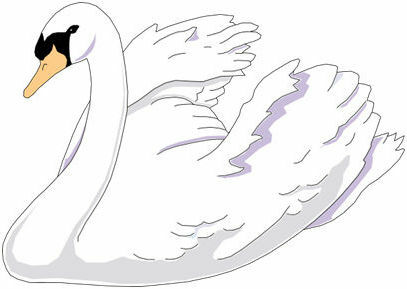 Godfrey has disappeared, and Elsa is accused before the King of made away with little Godfrey, and is about to be condemned when, as a last resource, she demands to have the Herald ask for some knight errant to appear and champion her cause against her uncle. 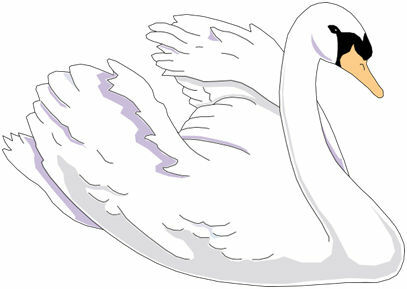 Lohengrin appears, sailing down the river on boat drawn by a swan, and in answer to Elsa’s appeal fighs and defeats Frederick, whereupon Ortrud confesses that she used her magic arts to change Godrey into a swan, and Lohengrin, being something of a magician himself, changes him back again and returns to Fairyland.